The right essential oil diffuser blend can totally change the vibes of your space and take your mind somewhere else. 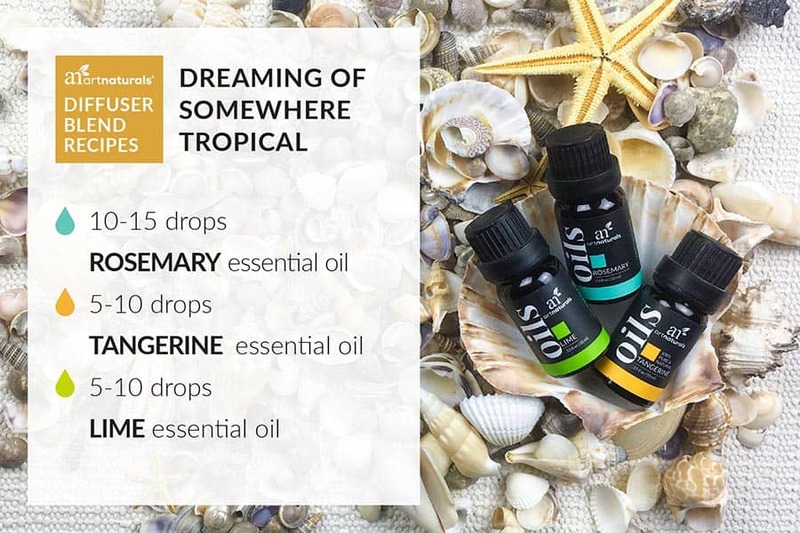 In fact, there are some fantastic pre-made blends for your essential oil diffuser that can evoke different moods from soothing relaxation to vitality and vigor. But what if you’re just sick of being cold, completely over winter, and counting down the days until spring? Then it’s time to experiment with your own DIY essential oil diffuser blends. It might be hard to figure out where to start when it comes to making up diffuser blends. The great news is that it’s really just a matter of personal taste. Worst case scenario, you can always drain your diffuser and start over! If you’re not quite expert level blender (yet), get started now with our favorite DIY diffuser blends to beat the winter blues. When it’s super cold outside, sometimes you just want a little comfort. Something earthy and cozy in your essential oil diffuser because hey, there’s a reason bears hibernate in caves, right? The best earthy essential oils are frankincense and patchouli, hands down. Add a few drops of either oil to your essential oil diffuser and you’ll instantly think of mossy forest floors and wet earth after the rain. Both patchouli and frankincense oils are considered base notes in perfume making. Base notes bring depth, harmony, linger the longest, and boost lighter top and middle note scents. If base note scents seem a bit much for you at first sniff, we enthusiastically encourage you to experience them in a diffuser blend harmonized with lighter top notes. Lemon, sweet orange and other citrus essential oils always work well with base notes. Most people hear “spicy” and think of heat from chili peppers. When it comes to essential oils spicy also refers to “warm” oils, so named for the warm or burning sensation they can have if applied directly to skin without diluting them. That being said, using “spicy” scents in diffuser blends create an atmosphere of warmth and familiarity. Especially if they’re herbs or spices closely associated with the holiday season. Cinnamon and peppermint are both spicy oils that have to be carefully diluted to be applied to skin. In your essential oil diffuser, they basically shout “holiday season” from the rooftop creating an inviting aroma that gives you the warm fuzzies. In perfumery, cinnamon is a middle note and peppermint is a top note. Both are very strong and stand out in diffuser blends, so it’s a good rule of thumb to use them sparingly to achieve harmony and balance. 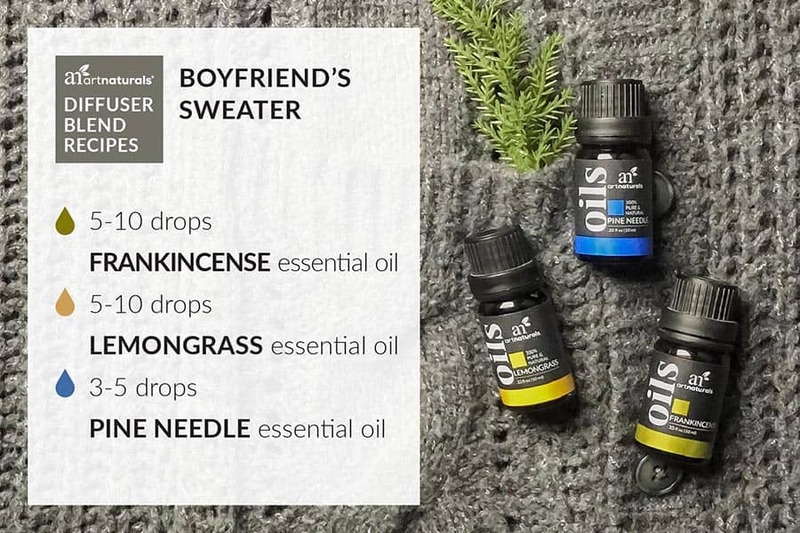 And what if you want to turn on your essential oil diffuser and just pretend it’s not the middle of winter and freezing? Well that’s an option too! There are plenty of diffuser blends to conjure up blue skies, tropical getaways and even relive your summer memories. The best essential oils for doing this are light, cool and refreshing. You can use any citrus scent in your essential oil diffuser for instant brightness. Clean, crisp oils like tea tree and eucalyptus are also evocative clear skies. Diffuser blends with herbaceous and floral aromas like rosemary and lavender also evoke lush greenery and blooming gardens. Citrus oils are nearly all top notes which is why they balance base notes so well. Lavender and rosemary are both popular middle notes for diffuser blends. If you’re new to mixing and matching in your essential oil diffuser, sticking to middle and top notes is a great place to start for diffuser blends that generally appeal to a wide range of people. What Are You Using in Your Essential Oil Diffuser? So what do you think? 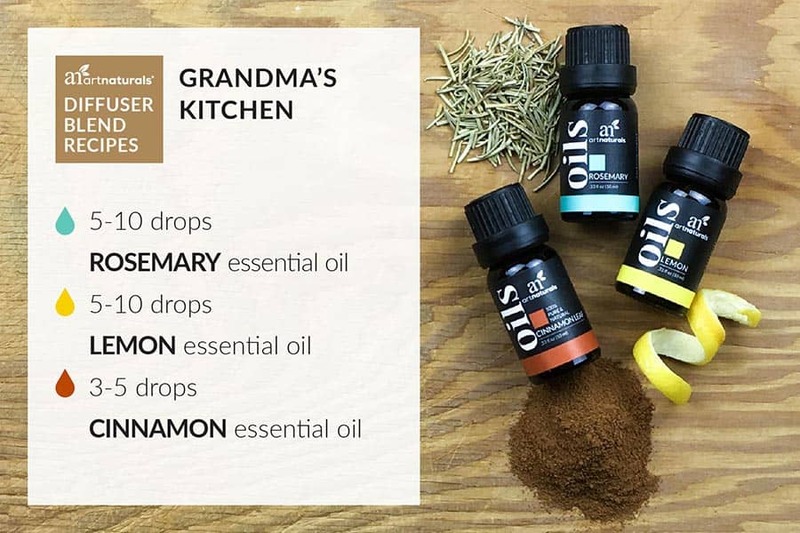 Are you ready to grab a full set of oils and jump in, base notes and all, to start inventing your own diffuser blends, or will you give some of our DIY diffuser blends a try? Let us know how it goes in the comments, or get at us on social media. We’re listening!